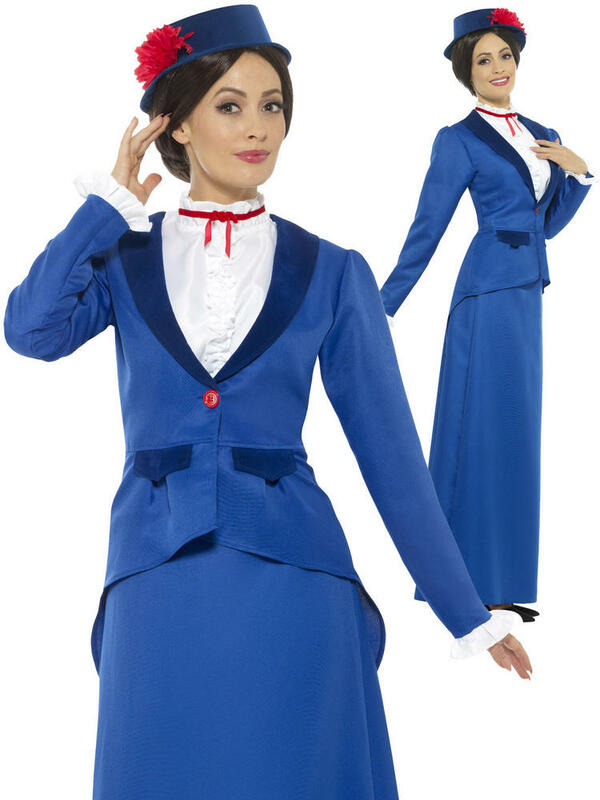 This Ladies Victorian Nanny Costume will ensure you look like a character straight from a story book.. 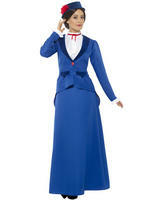 Ideal for Book Week or a themed Party! Includes a Long Blue skirt and a jacket with a long back and a red button and a ruffled mock white shirt underneath with red ribbon around the neck. 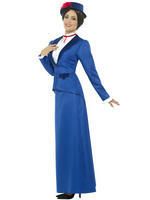 Completing the outfit is a blue hat with a red flower attached to the side.